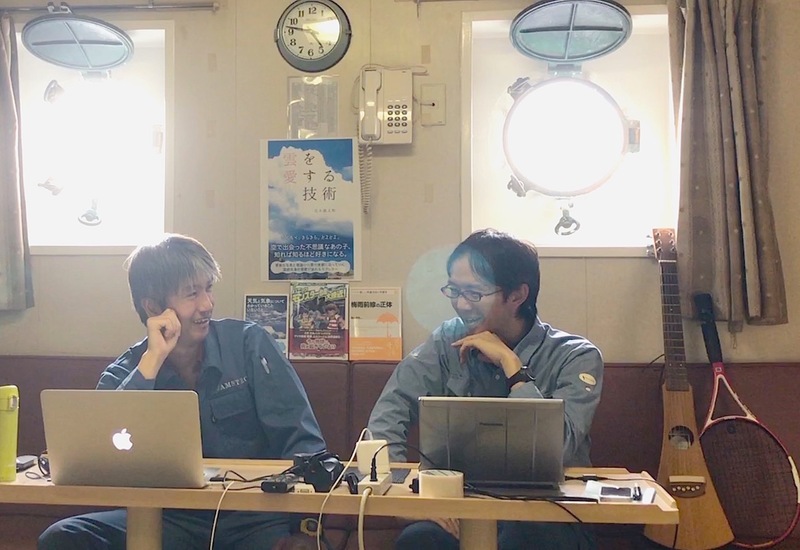 Dr. Takanori HORII (JAMSTEC researcher) is a roommate of Motesaku. He is a specialist on the research using ocean buoys over the Indian Ocean. During this cruise, he is in charge of the TurboMAP operation in the daytime. It is really fun to discuss on the observation profiles everyday. This is so nice photo showing we are naturally discussing on something, isn’t this? By the way, there are three unnatural things that are not related to the YMC. Can you find them? If you could, please do not tell anyone it and it would be a secret between you and me.